Registration figures just today released for the critical January new vehicle market have seen the Peugeot brand deliver a combined passenger car and light commercial of 5.4pc (+7.4pc year-on-year), the highest share the lion-brand has recorded in any January in Ireland since 2005, writes Trish Whelan. 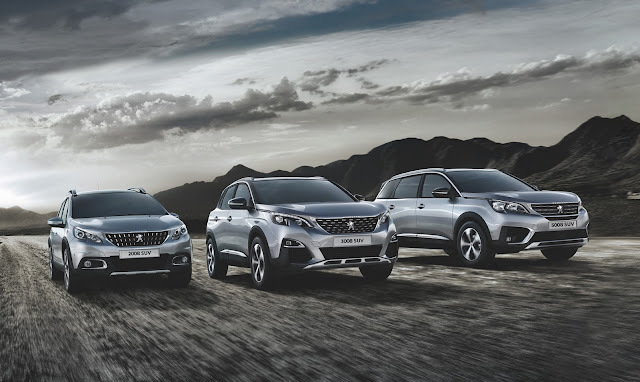 Following a strong sales performance in 2018, Peugeot now retains its Top Ten passenger car market share in January 2019 whilst moving up to four place in the light commercial van market to command almost 9pc of van sales in Ireland. Des Cannon, Managing Director of Peugeot Ireland said: “In a weakened market (-13pc), we have reached our highest market share in over 10 years.” He said the 2008, 3008 and 5008 SUV range has contributed to this growth and demand for the new Partner van, just launched and already crowned International Van of the Year 2019, has already driven them up to a number four ranking in the van sales league. He said the contraction in the market place is a very serious concern and with Brexit uncertainty, UK imports and waning consumer confidence, will present continued headwinds for the Irish Motor Industry for the remainder of the critical first quarter of 2019.